(Editor’s note: In previous articles, we discussed Team Principles 1 through 7, which address the fundamentals of teamwork and team development. Part 3 addresses the principles for maximizing team effectiveness). When I was nine years old, I participated on my first team. A little league baseball team. I was a pitcher on the team in first-place. Towards the end of the season, players from the team in last place were dropping out, making it hard to field the nine players needed to have a game. It was decided that a player from the first-place team be picked at random to transfer to the last-place team. We literally drew straws for the “honor” of transferring. One of the reasons that teamwork often fails to produce effective results is due to the lack of focus on defining and refining team relationships. Total Quality efforts have been focused on attaining measurable improvement processes that would, ultimately, improve customer service. These improvements involve increasing the quality which results in providing customers with greater value. The power of the total quality methodology is its structured process for measuring, researching and analyzing operational processes, and which include those individuals directly involved with the operational processes, even if it includes cross-functional employees. Whilst total quality programs have produced significant improvements for many organizations, it has failed to become the organizational cultural norm that was desired and intended. Territorialism between departments, fear between various hierarchical levels, and undefined roles and relationships due to continual change and organizational restructuring has resulted in stagnation and/or breakdown in many improvement efforts. It has been demonstrated that when relationships breakdown between any members of an organization or team, quality performance decreases, costs increase due to inefficiency, and customer satisfaction and organizational viability diminishes. Many organizations have spent lots of money and time placing people in training programs to provide them with the awareness to create good, supportive relationships with their co-workers, skill-building techniques to improve communication effectiveness, and team guidelines to prevent problems from occurring. Whilst awareness is good for motivating people, it rarely provides them with enough information to take action on their awareness. Skill-building programs do help by providing people with the basic tools for improving relationships, but rarely provide people with the strategies and processes for dealing with the complex dynamics brought on by poor organizational structures, bureaucracy, politics, and territorialism. Also, techniques are good, but, more often, the other party in the conflict isn’t acting out their role the way it was done in the workshop, leaving the newly-skilled person helpless. Finally, guidelines are good for preventing problems, unless the guideline isn’t practical for that particular work team. Another problem with typical guidelines is that people expect perfection, so that when a guideline is broken, people conclude that it didn’t work and give up on their team. smaller conflicts. Therefore, improving relationships is, by definition, an improvement process and must be reviewed on a regular basis. Because people are not perfect and will make mistakes, it is critical for any process which is aimed at improving relationships to have a built-in mechanism for `recovery’. It is not how perfect a team is that demonstrates its effectiveness, but the speed at which the team recovers when it gets `off track’. For these reasons, it is ideal to apply a total quality process to the improvement of relationships in the workplace. Relationships between and among managers and employees can be improved on a systematic basis, producing measurable results if some of the primary total quality principles and processes are used. Just as total quality methodologies include techniques such as statistical process control (SPC) and process mapping to measure and analyze operational processes to achieve improvement, relationship improvements must also use techniques which are process based to achieve lasting measurable improvements. â€¢	Establishing processes and actions for relationship improvement. â€¢	Regular monitoring and tracking of results. â€¢	Periodic measurements to demonstrate improvements. Relationships are generally based on emotions that prevent people fully understanding the particular breakdown. Just as it is critical in total quality processes to end the blame of people and focus on the processes that are malfunctioning, it is critical to stop blaming people when relationships breakdown. As in traditional total quality processes, measurement is key to transferring the focus from individuals to processes. The purpose of measuring the effectiveness of relationships is to diagnose the specific areas of the relationship that are relatively dysfunctional, and to determine a baseline measurement so that improvement can be tracked and acknowle3dged. Because it is too difficult to track and deal with the relationships of the entire organization as a whole, it is best to measure the effectiveness within a team of employees who are interdependent and must relate effectively with one another. Surfacing and resolving team conflicts. Understanding and respecting the roles of other team members. Accountability for keeping team agreements. Accurately representing the team and its members to other outside the team. Whilst specific tangible behaviors for each criteria can be developed and tracked, it is generally more effective to develop a questionnaire using a five or seven-point Likert scale and use subjective scoring to measure the effectiveness. This is because people’s perception of the relationship is what drives their behavior and, over the course of the past 10 years, it has been determined that this form of assessment is very accurate as a representation and reflection of a team’s effectiveness. As with any assessment, it is important to inform all of the team members of the purpose of the measurement, how it will be used, and when they will receive the summary of results of the assessment. Each team member, regardless of position, should complete the questionnaire anonymously without review by the leading manager. A non-partial person, usually a team facilitator, tallies the scores of the assessment, determines averages for each relationship criteria, and summarizes the results as a report to all of the team members when they are going to create their interaction agreement. 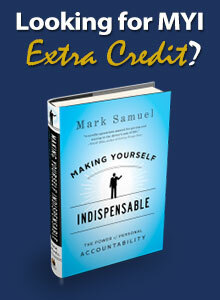 Create an environment of interlocking accountability. Review assessment of the team’s effectiveness. Facilitate the interaction agreements based on the results of the team assessment. Traditionally, organizations are based on a hierarchy where each team member is accountable to the manager. However, in any high performance team, each team member must be accountable to each other since they depend on one another. Interlocking accountability is a guideline that assures a shared responsibility between all team members, regardless of level or function in the organization. Using the guideline of interlocking accountability, each team member, regardless of position, is accountable to each other team member for the agreed upon behaviors and actions that impact the other team members. In addition, this guideline also states that each team member is responsible for holding the other team members accountable with acknowledgement and support. Unfortunately, in most organizations people are held accountable with blame, accusations or rumors. This only contributes to territorialism and is a major reason for the fear felt in many organizations. Using interlocking accountability, team members acknowledge problems without blame or judgment against no one else, focusing on the situation not the individuals. Instead of rescuing other team members in an unhealthy way that leaves people dependent or co- dependent, team members acknowledge and support others by assisting them in developing alternatives for resolving the problems that exist. Interlocking accountability is the `glue’ that holds the interaction agreements together and represents a major influence in creating an environment that is free from destructive competition and unnecessary power plays among team members. After distributing the summary of scores from the assessment of team effectiveness, the team will determine its relative strengths and weaknesses related to team relationships. Using this process of assessment makes sure that no individual team member is singled out since no one knows how any other team member answered the questions. Based on the relative weaknesses, the team can determine, through a process of consensus, which relationship weakness they want to resolve first. Thus, the team creates its own priorities for improvement based upon quantitative data. Most teams create guidelines to prevent team dysfunctions. These guidelines are usually one-sentence statements, such as: “Be on time for team meetings,” “Participate fully and openly in team discussions,” and “Listen with openness to other’s ideas and comments.” Unfortunately, whilst guidelines can be helpful, the success that can be achieved from guidelines is limited. Guidelines tend to operate on the assumption that all teams are alike – which is a fallacy. Secondly, many guidelines are unrealistic or not practical in today’s working environment. For instance, if you have a client on the phone with an emergency situation, are you going to hang up on them so that you can be on time to a team meeting? Team guidelines actually break one of the primary rules of total quality because they focus on isolated solutions rather than interlinking processes, which are the root of most relationship problems. In fact, non-organizational top performing teams, such as athletic teams, music groups, and dance companies, spend the majority of their time learning and practicing how they function together and relate to one another. Baseball, football and basketball teams practice their plays, whilst music groups and dance companies rehearse their transitions to assure excellence. In organizations, we create guidelines and hope that they are kept, and when people break the guidelines we claim: “See, I knew it wasn’t going to work,” and then we give up. Can you imagine a baseball team that makes an error completing a double play and never trying it again because it didn’t work? Don’t make assumptions and attack other team members or get defensive if you are approached by another team member – focus on the situation and resolving the conflict. Don’t approach a person with a problem without having some alternative solutions based on your understanding of the problem. o	Keep the conversation confidential. o	Don’t take sides or sympathize with the team member bringing you theÂ problem. o	Be sure to be open and honest with your perceptions. o	Direct the person back to the individual with whom they are having theÂ conflict. If someone comes to you complaining about another team member, first determine ifyou are the `sounding board’ and if not, redirect them to the appropriate person. If you can’t resolve the conflict, use a mutually agreed upon team member to act as aÂ mediator, and if you are still at an impasse, take the issue to the manager. Developing the statement of intentions and lists of conditions for acceptance is continued until each individual team member agrees to keep the agreement. This is not the same as thinking the agreement is a good idea. Too often decisions are made based on people agreeing that it’s a good idea, but without the commitment or accountability to act on it. In this process each team member is accountable to the other team members for behaving in a way that is consistent with the agreement with interlocking accountability. Generally, a team will create between four and eight interaction agreements to cover the dysfunctional relationship areas that are identified. After the session, the interaction agreement is typed and handed out to each team member. particular dysfunctions. The ultimate question is, if each team member keeps their agreement to abide by the behaviors listed, will each team member feel that the team will be more effective? If the answer is yes, you have an agreement. If the answer is no, then you need to add conditions that will resolve the concerns that are felt by the team members. As in all total quality processes, changes that are made need to be reviewed, tracked to be sure that it is on line with desired results, and sometimes modified to fine-tune the results. It is no different with improving team relationships. After each team member receives their typed version of the interaction agreement, it is to be formally reviewed at the team’s meetings to assure that the team members are keeping their agreement. This is where interlocking accountability becomes key to the success of the team. If someone is breaking the agreement, they are to be held accountable with acknowledgement and support. As with other professional top performing teams, the best teams have team members who come to the meeting admitting when they have broken an agreement, along with stated solutions and the commitment to improve. Since most team members are human, and as humans we make mistakes, there is no expectation that people will be perfect. The power of interaction agreements is that it is a process focused on recovering when a team has made a mistake. Again, this enforces the principles of total quality and, more importantly, keeps people out of the blame mode when people aren’t perfect at keeping their agreements. As with most total quality efforts, when a process change has been approved and implemented, it is important to monitor the actions of the change, along with tracking the results of those actions. This is important in case there are minor adjustments or modifications that need to be made. Monitoring actions to improve team relationships is also critical to assure success. However, instead of using charting techniques to measure the results of the change, team members review the team’s effectiveness at keeping their interaction agreements. This is formally done at the beginning of the team’s meetings using interlocking accountability. This is not a long process, since the interaction agreements are not rehashed. It is simply a matter of determining with non-judgmental acknowledgement any agreements that were broken and providing support to the involved persons to assure that they do not continue breaking the agreement. If no agreements were broken, that the team members can determine if they feel that relationships are improving. If so, they continue with their meeting. If not, they can create a new interaction agreement or modify an existing interaction agreement to resolve the particular dysfunction. This regular review assists the team in staying current with their relationships instead of focusing on old dysfunctional behaviors. This review also assists the team in practicing its recovery when mistakes are made. In a total quality effort, an improvement process isn’t complete until actual measurable improvements are demonstrated based on baseline measurements. Improving team relationships is no different. Therefore, after three to four months it is important to have the team members complete the same assessment that they completed to form the baseline measurement. Once the individuals are tallied and summarized, a comparison can be made between the original assessment and the new assessment. This comparison will not only indicate the specific relationship criteria that has improved or worsened, but will also demonstrate a more global measurable improvement by indicating the percentage of scores that had a positive rating compared to the previous scores. This measurement is critical for team members to feel the significance of their improvement. Like normal total quality improvement efforts, if measurements are not reviewed, people will not have a clear idea of their progress. These measurements represent a meaningful way to acknowledge the efforts and contributions of the team members who improved the organization’s working environment. In addition, the team can review the criteria that either decreased in effectiveness or that are relatively lower in rating than the other criteria and repeat its new improvement process for increasing team effectiveness. In fact, this is the time for the team members to modify the old interaction agreements or create new interaction agreements to support themselves in continuing their improvement of team relationships. Ultimately, the team can continue this process improvement by continuing to use interlocking accountability during the team meetings, and conducting a more formal review once a year to demonstrate measurable improvement. Once the team is comfortable with its team relationships, it can expand its survey to include suppliers and customers in areas of the team’s relationships that impact them. It is common to find effective teams creating interaction agreements with their suppliers and customers. This adds even more usefulness to the interaction agreement process for improving team relationships. Ever since the quality movement came to North America, team relationships have been ignored in terms of providing processes of improvement equal to the defined processes used for improving operational processes. Whilst the intention of quality circles and total quality was to improve team relationships, the use of team guidelines or quality principles haven’t had the significant impact necessary to make quality a total impact for an organization. Interaction agreements are one technique, implemented in the spirit of total quality as a process that doesn’t focus on blame, and actually removes fear from an organization. It has been used for new and old teams alike, and is easily integrated into project, natural and self-directing teams. Generally completed within one to two hours, interaction agreements have been initiated at all levels within an organization. Whether interaction agreements are used or not, it is critical with all of the changes that impact people that organizations begin to deal with the relationship breakdowns that are preventing people from optimizing their performance and enthusiasm in their career.